An OFFER to make your Christmas merrier! The Holidays are upon us and we’re sure you’re scrambling to get your gifting done in time. At Tajonline.com, we understand the importance of family and the special place that the Holidays have in bringing families together. So this season- Be Jolly! 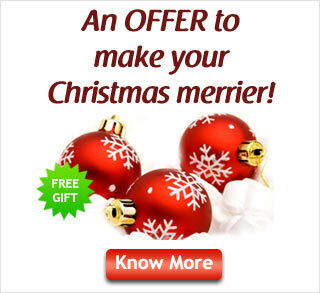 Our Christmas offer has been designed specially for you!! ← Relax and rejuvenate with our Spa gifts !